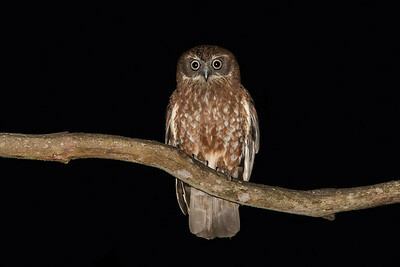 A male Southern Boobook roosting during the day. 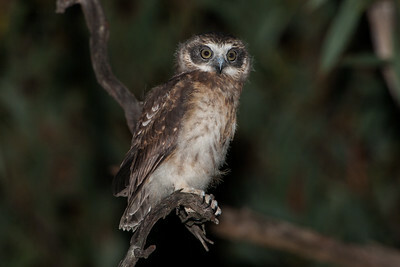 A boobook chick peeks out at me just prior to fledging. 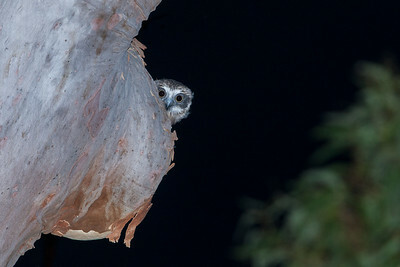 A boobook owlet waiting for parents to bring food. 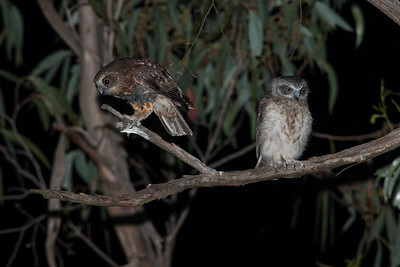 An adult female (left) boobook and her fledgling. 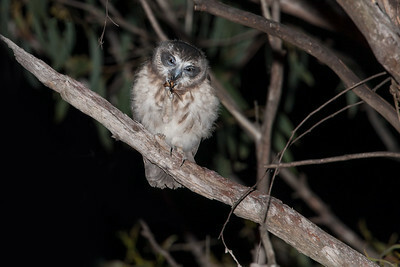 A juvenile (recently fledged) boobook owlet devouring an insect. 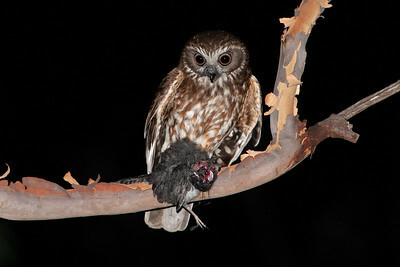 A boobook brings a prey animal (Australian Owlet-nightjar - Aegotheles cristatus) to the nest. 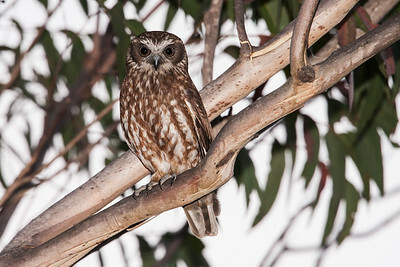 The owl perches near the hollow first to asses if there is a risk to returning to its nest hole.